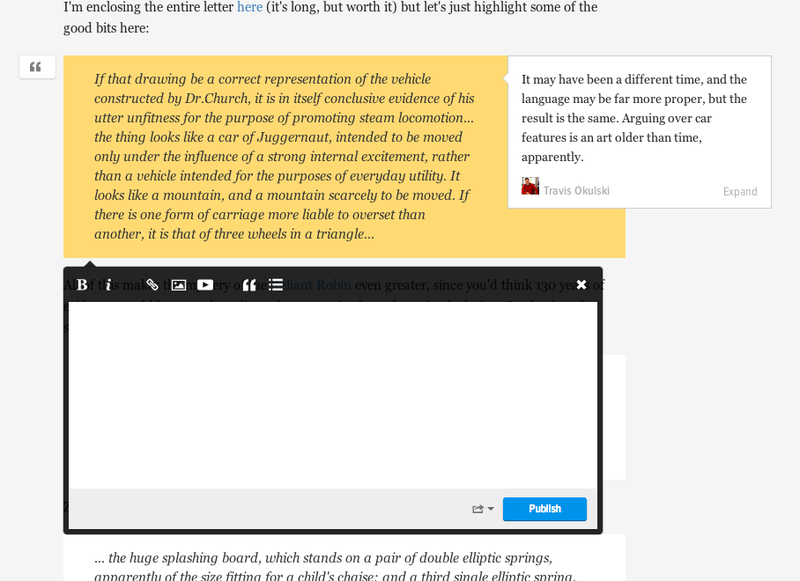 We're testing out a new feature called Text Annotation on a select number of posts. Sometimes you want to respond to a specific part of a story or maybe you want to refute someone point by point. Text annotation allows you to do this by discussing a specific paragraph or section of a post as opposed to the post as a whole. The feature is still in beta, so there may be bugs or other inconsistencies - let us know by replying to this post!